It’s Hammer time, Los Angeles. 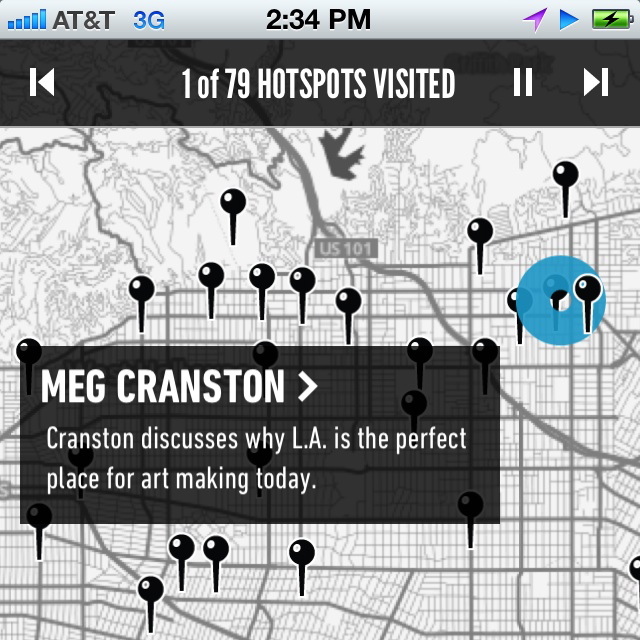 To help users navigate the sizable Made in L.A. 2012 show, the Hammer Museum has released Made in L.A. Soundmap. The free iPhone app uses GPS to determine your location and play relevant audio segments depending on where you are. As the city’s first official biennial, Made in L.A. features the work of 60 artists at three locations: LAXART in Culver City, Barnsdall Park in East Hollywood and, of course, the Hammer in Westwood. Designed by the team at One Long House, Soundmap can also be used while going from venue to venue. While walking from point A to point B, there’s a playlist curated by local music collective dublab. MC Hammer would claim, “You can’t touch this,” but you definitely can. The city is at your fingertips—and it’s free. Made in L.A. 2012 runs from June 2 to September 2. Screenshot courtesy of The Hammer Museum.